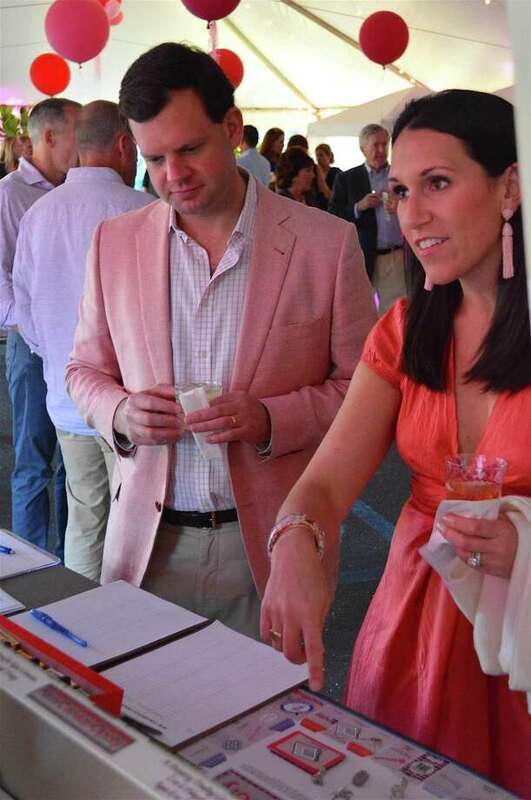 Chris and Abby Glover of New Canaan check out a copy of New Canaanopoly at the 7th annual Books & Beats fundraiser at New Canaan Library, Saturday, June 3, 2017, in New Canaan, Conn.
NEW CANAAN — The 7th annual Books & Beats fundraiser at New Canaan Library was a foot-tapping success. While the town funds three quarters of library’s budget, she said about $750,000 still needs to be raised to cover operating expenses and property upkeep. Over 250 people attended the event, which was held in an outdoor tent at the library and featured food, drink and music.